Chief Steve Conrad got an earful from the community and Metro Council members after a traffic stop went viral on the internet. 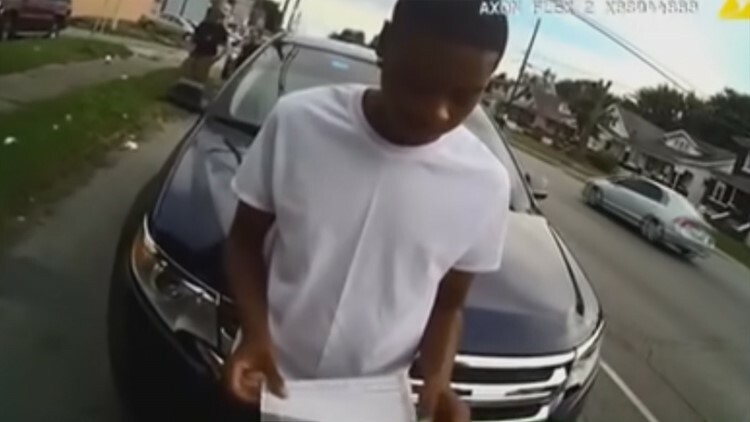 Police body camera video, taken from a Louisville officer last August, shows what the department says is an illegal wide turn made by 18-year-old Tae-Ahn Lea. Eight months later, the video was the topic of a heated conversation Tuesday at a special metro council meeting about the police department's traffic policies. "This experience has definitely changed my view," Lea told council members. Lea says he was followed by officers after seeing them minutes before at a west-end Thorntons. He claims he was racially profiled. "Due to the car that I drive and the color of my skin. Not a good way to view the police," he said. Officers pulled Lea from his car. He was handcuffed but was never formally arrested. Several metro council members voicing their concerns about the officer's actions. "Traffic violations are now just a de-facto term for stop and frisk and that's just wrong," said Councilman James Peden. Te-Ahn Lee in the video still is being stopped by the police. Police Chief Steve Conrad says traffic stops were part of the department's violent crime reduction program following the record year of homicides in 2016, but he says there are improvements that could be made, including more transparency. "Let people know what they are doing and why they are doing it. I think that will go a long way in starting to ease some of the tension people feel when they have been stopped by the police," he said. Councilwoman Paula McCraney asked the chief is he would consider changing the department's traffic stop policies, but he noted this month's seven homicides require strict policing. "This has been the most violent month so far this year and the month is not over. So, I am concerned about taking away that tool our officers may be able to use to make our community safer," Chief Conrad told council members. 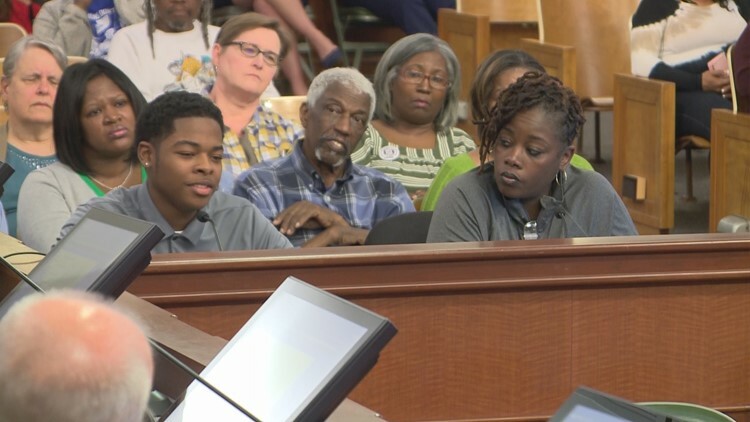 Te-Ahn Lee and his mother speak during a Metro Council meeting discussing traffic stops and Louisville Metro Police. "I want to thank the Metro Council and the many citizens who attended tonight's important committee meeting. These are tough discussions, but we must have them. The men and women of Louisville Metro Police work hard every day to make this community safer. They face difficult decisions and often dangerous circumstances and do their best to resolve them professionally and peacefully. It is clear to me there is a great deal of work to be done. Officers must have the trust of this community or we will not be able to create the safer city we all want. I am committed to doing what it takes to establish stronger relationships rooted in trust and legitimacy. I hear the concerns voiced, and I will take action based on these concerns after we have some time to review our policies, data, and best practices. I ask citizens to stay engaged with this department. Continue to share your ideas and concerns. Work with us to create a city where we all thrive."